Qualifying veterans can use a VA home loan to purchase owner-occupied residential real estate with no money down. VA loans can also be used to refinance an existing home, make energy efficient improvements and in some cases can even be used to build a new home. The VA allows loans used for new construction as well as loans used to acquire and rehab a property. The process for obtaining a VA construction loan is similar to any other VA loan type. The veteran must have available entitlement and be approved by a VA lender under existing VA underwriting guidelines. Are there Any VA Construction Lenders? In today’s market, finding a lender who issues VA construction loans can be a challenge. Even though the VA allows construction loans, it doesn’t mean VA lenders have to offer the product. Veterans who are interested in building their own home should check with local and national lenders for available VA loan types. Contact our VA loan professionals to find out if a VA construction loan is available to you. 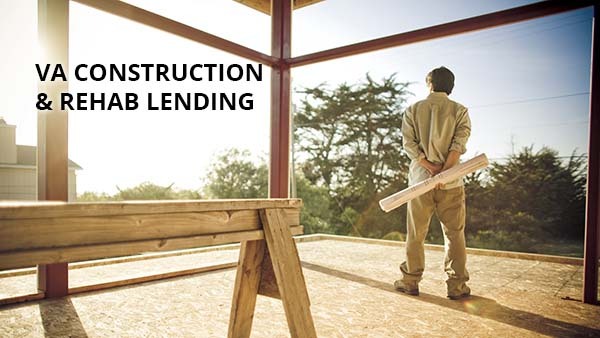 Keep reading for VA construction and rehab loan alternatives if you can’t find a lender who offers the product. AFR Wholesale: American Financial Resources is a “wholesale lender,” meaning you must find a bank, mortgage company, or mortgage broker that works with AFR to receive this loan. Note that not all companies that have AFR on their list of lenders will offer the VA construction loan. But if they do, you can tap into AFR’s benefits such as zero down, 620 minimum score, no payments due during construction, and interest rate protection during construction. It’s a one-time close transaction, meaning that the loan closes before construction begins. The interest rate is locked, and the loan converts to a permanent loan after construction is complete. Bank of England Mortgage: No, this lender isn’t actually in England the country. Rather, its base is in England, Arkansas, and appears to offer FHA and VA construction loans. It’s unclear all the states in which the lender offers services, but it could be worth contacting them to find out. When financing new construction, the veteran must provide building plans and specifications from a licensed general contractor. If the veteran does not currently own the lot where the home will be built, he or she may purchase the lot separately or include the lot with the construction request. The loan amount will include funds for the acquisition of the lot if not presently owned and funds needed to construct the home as well as provide financing for “soft costs” such as permits and fees. Once the construction loan is approved and closed, the VA lender will disburse funds to the contractor in phases as work progresses. When evaluating the construction loan request, the builder is required to submit a proposed schedule of work, dividing the work into separate parcels. As each phase is complete, the builder makes a request from the bank for additional funds to finance the next phase of construction. Finally, once the home is completed, the VA lender will require a certificate of completion from a home inspector validating that construction has ended and the home is ready for occupancy. VA loans do not require that the veteran make payments during the construction process and may begin making payments only after construction has finished. During that time, the contractor is responsible for all interest payments during construction as well as any fees encountered during the construction period. Contact us to get more information on VA construction loans. VA loans can be used as a “permanent” mortgage. A permanent mortgage refers to the standard mortgage that replaces a construction loan. A private construction loan lender can often issue a construction loan with proof that the veteran has been preapproved by a VA lender. The preapproval should state that at the end of construction, the veteran is approved for a loan that will replace the construction note. In this scenario, the veteran applies for a VA mortgage while simultaneously applying for a construction loan from a bank. The bank approves the construction request, and the construction loan replaced by the permanent VA loan when the home is complete. See if you qualify for a VA home loan and get a rate quote here. Similar to VA construction loans, some VA lenders approve loans to buy and renovate existing property with one loan. At the time of this writing, Plaza Home Mortgage appears to offer up to $50,000 in renovation costs above the home purchase price with which to do repairs. Because Plaza is a wholesale lender, you must find a local mortgage company that uses Plaza loan products and also offers this specific loan. As for the process, the veteran completes the VA loan application and provides a contractor for VA approval. The plans and specifications for the improvements must be itemized along with an estimate for how long the construction period will last. VA approved home improvements include roof repairs, flooring repair, HVAC systems, bath and kitchen remodels. Similar to VA construction loans, VA rehabilitation lenders may be difficult to locate. In today’s market, many lenders have ceased approving VA construction loans of any kind. But there is a rehab loan that most lenders do offer. 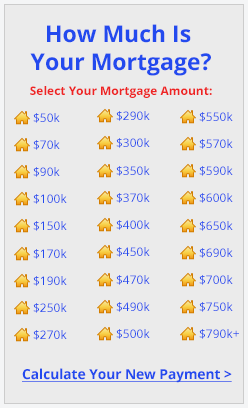 That’s the FHA 203k loan. It’s not a VA loan product, so there are down payment requirements as well as monthly mortgage insurance costs. However, for home buyers looking at fixer-uppers, the FHA 203k loan is a more widely-available option. Check with our lender network to see if you can be approved for an FHA 203k loan. Much easier to locate are VA lenders who issue VA Energy Efficiency Improvement loans. Lenders can increase your VA loan amount up to $6,000 for energy efficient upgrades such as solar heating, storm windows, insulation and other cost-saving energy upgrades. This loan will have the additional funds set aside in an escrow account to be paid to the contractor once the improvements have been completed a final inspection has been reviewed. What types of repairs can be made using the Energy Efficiency Improvement program? Any improvement that leads to the reduction in energy costs can be considered from caulking the windows to new attic insulation. 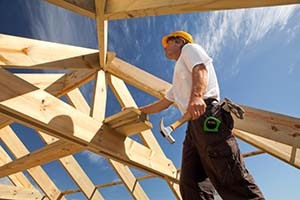 What are the interest rates for construction loans? VA construction loan rates will vary based upon the lender. VA does not set interest rates for any type of VA guaranteed mortgage. As with any mortgage, the borrower should shop around to find the best rate. Do I need my new Certificate of Eligibility for a Construction Loan? Yes, you will need a copy of your current COE. In most cases the lender can obtain this for you quickly and easily. Contact our mortgage professionals to get your COE. What are the credit requirements for a VA construction loan? Most VA lenders require a minimum credit score of 620 for all VA home loans. 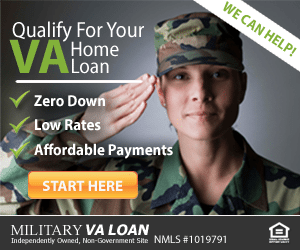 Where do I find a list of VA construction lenders? There is no central repository of lenders who issue VA home loans. The quickest and easiest method of finding a lender is to call our toll-free number at (866) 240-3742 or complete our online form. Our lenders are standing by and ready to talk to you.